The CPG giant is making plans to rid itself of more than half its brands. While it does so, it must push a message of innovation and cost savings, say experts. Procter & Gamble’s decision to cut more than half its brands echoes a strategy it employed about 20 years ago to simplify its business and marketing practices. In the mid-1990s, under the leadership of former president [and later CEO] Durk Jager and chairman John Pepper, P&G pushed for simplification by slashing marginal brands, standardizing formulas and packaging, and trimming its marketing costs. That strategy was the subject of a 1996 Businessweek cover story on P&G, entitled "Make It Simple." Last Friday, the company said it will sell or discontinue as many as 100 brands, allowing it to focus on the 70 to 80 that make up 90% of its sales and 95% of profits. "We see this as a key opportunity to accelerate growth as well as simplify operations of the company," says P&G corporate communications director Paul Fox. While the maker of Tide and Pampers did not say which brands it will shed, the process will take place over a period of 24 months, he adds. "You’ll find that throughout our history, we’re constantly looking at the [brand] portfolio," he explains, pointing to recent divestitures such as the sale of Pringles to Kellogg in 2012 and its plan to sell most of its pet-food brands, including Iams, to Mars. "This new program accelerates that process." 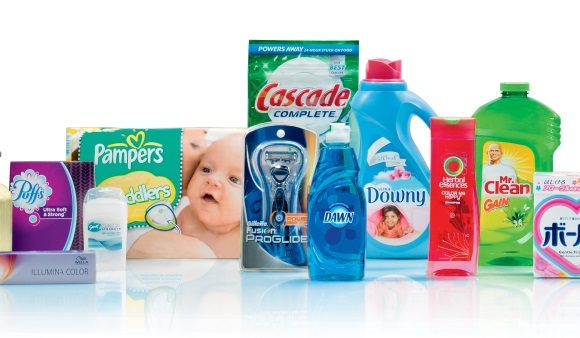 P&G’s return to simplification is part of a trend in the CPG space to shift focus to larger, more profitable brands, says Erin Lash, senior equity analyst at Morningstar. For example, Unilever has set a goal to reduce its number of product varieties by 30%, with the sale of food brands such as Skippy peanut butter and Ragu and Bertoli pasta sauces. At the end of last year, Unilever said it will reduce its marketing headcount by 12% and streamline its promotional processes. Christine Cea, senior director of marketing communications at Unilever, stepped down from her role in May, though at the time she declined to give a reason for her exit. Fox says it is "way too early" to say how P&G’s marcomms function and agency relationships will be affected by the brand reduction. "It will become clearer over the ensuing months," he adds. In an interview with The Cincinnati Enquirer last week, P&G CEO AG Lafley said this latest plan will reduce jobs at the company, but some positions might be transferred to new brand owners. "We will, of course, share with [employees] any developments as and when they happen," Fox says. "Our employees are energized by this new strategy, because it brings renewed focus to the company." Renewed focus is exactly what many shareholders had been seeking from the CPG giant. In 2012, former CEO Bob McDonald launched a five-year restructuring plan to cut more than 4,000 jobs and streamline the company’s marketing budget. That same year, P&G reorganized its communication function with the retirement of global external relations officer Chris Hassall. Despite these efforts, McDonald and P&G came under fire for failing to get ahead of a changing marketplace, where consumers are spending less after the financial crisis of 2008 and 2009. While other packaged-goods companies have recently taken similar steps to simplify, P&G is different because it "came out and announced in one fell swoop, and quantified the number of brands," Lash says. "The announcement shows they’re taking major strategic action and parting ways with their old self," she explains. "There have been over the past few years calls from activist investors for them to change, because the portfolio has been more or less stagnant. This announcement that they’re taking major action to make themselves a more responsive organization could quell some of those gripes in the near term." Pressure from investors and the board led to Lafley coming out of retirement last year to replace McDonald as CEO. That move, as well as P&G’s latest announcement, demonstrates a new corporate environment in which more companies are responding to shareholder activists, says Tom Ryan, CEO of ICR. "By and large, I see a lot of companies taking more scrutiny to their business. It used to be if a shareholder didn’t like the strategy, management would tell them to sell their stock," Ryan says. "Today, if [a shareholder] doesn’t like it, they could invest more in the company, propose a new slate of directors, and may want to get rid of the management. That didn’t happen 10 years ago, so more companies are focused on being efficient with shareholder dollars." Now, P&G must be proactive about communicating the business benefits of cutting brands to the financial community, Ryan says. "The wrong strategy would be to say we’re selling these brands and not tie it to future financial performance," he says. "If you don’t articulate what it’s going to mean to the bottom line, then a bunch of other groups, for or against you, will write about what it means." While this latest cost-cutting plan might temporarily appease investors, the success of P&G’s business "stems back to product innovation," Lash says. "That’s an area where they’ve been lackluster for some time," she explains. "It starts with innovation, and marketing should tell the value add of those new products. A good product can fail if people don’t know about it." Jerry Thomas, CEO of marketing research and analytical consulting firm Decision Analyst and a former executive at Kraft Foods, calls P&G’s strategy to shed brands "short-term motivated" and questions its ability to innovate. "They’re not a very creative company -- they’re a big, bureaucratic monster," Thomas says. "Their strategy is to better exploit the brand equity that has accumulated over the past 50 to 100 years, where they have huge amounts of awareness and positive image." 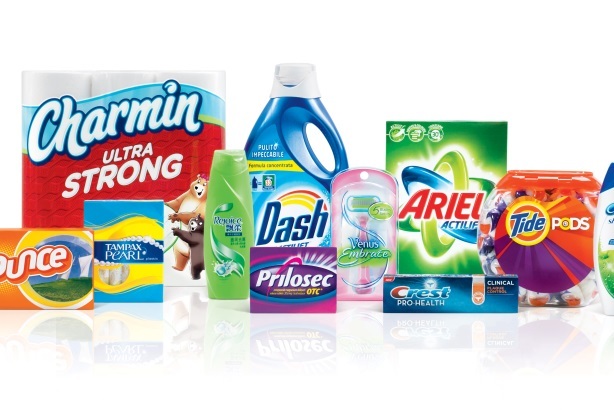 Fox contends P&G has accelerated its product innovation through programs such as virtual design and virtual modeling, and he points to recent launches including Tide Pods in 2012. During Lafley’s first stint as CEO, between 2000 and 2009, he was known for championing marketing and innovation. He also significantly grew the company by presiding over acquisitions such as the $53 billion purchase of Gillette in 2005, and more than doubling the number of billion-dollar brands in its portfolio. A downside to shedding brands is that some have the potential to become more successful in the future, says Thomas. "If you take some of these smaller brands, with a little focused attention and imagination in the hands of a faster-moving, more creative company, many could end up becoming bigger brands down the road," he says. "[P&G] is giving away part of its future to try to exploit their existing brand equity."